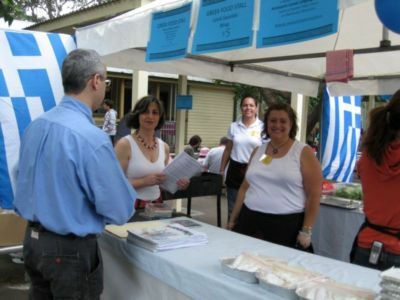 Significant contribution was made by the Hellenic Centre and its auspiced educational institution “Aristotelis” Greek Language Education to the Roselea Public School in its annual fete. 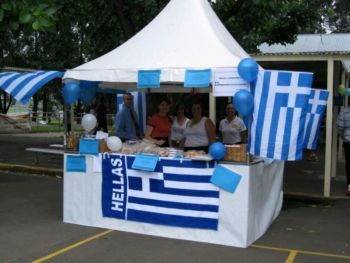 Management Committee members, parents and volunteers worked extremely hard to prepare a stall with Greek theme and colours to promote the Greek language in the area and to support financially the Public School of Roselea. The “Greek” stall collected over one thousand dollars and foods stuff, drinks and many sweets were either prepared or donated by parents and their families. A huge thank you to all participants for their generosity and the time spent at the location. The Greek School operates in the premises of Roselea P.S. every Wednesday afternoon and caters for students that live the adjacent suburbs.